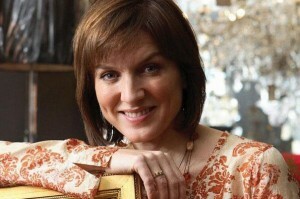 Fiona Bruce is one of the country’s top journalists and presenters. She anchors the BBC’s flagship Ten O’Clock News and has co-hosted Crimewatch for the BBC for eight years. Fiona has been a journalist at the BBC for eighteen years. She started as a researcher on Panorama travelling throughout Europe, the Middle East and the United States. She progressed to become a reporter on several prime time current affairs series culminating in Newsnight and Panorama. Fiona presented and reported on her own investigative current affairs series Real Story with Fiona Bruce, for 4 years, which has won five awards from the Royal Television Society. In addition Fiona has made a number of documentaries about major crimes, police investigations and health issues. She was the first woman presenter to be part of the BBC’s general election studio team and she has won 3 News Caster of the Year awards from the Television and Radio Industry Club. Fiona also chairs conferences and seminars and is a highly skilled conference facilitator and after dinner speaker. She has a wealth of experience hosting events and award ceremonies, both at home and abroad.